In order to enable the use of scripts, you have to enable it in FortiManager. 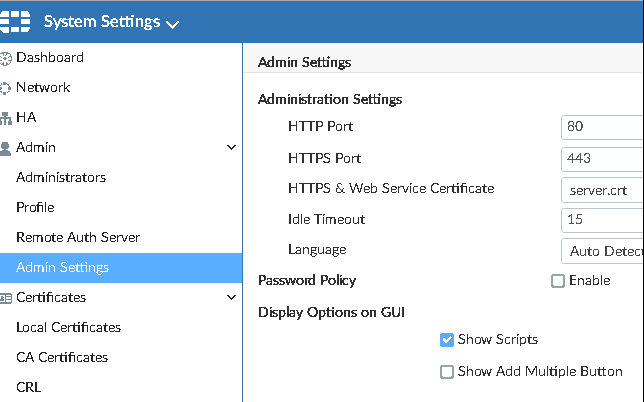 You can run scripts directly to a FortiGate, Device Database or you can run it on a policy package. When done editing, just simply right click and run the script against default values. Thanks for your awesome article, I used it on FMG 5.2.7 and manager to import stuff that wouldve taken me 3 days to manually do.